Historically, gaming systems, audio decives and HDTVs have dominated sales in Black Friday weekend circulars and website listings. However, this year you’ll find more than your average number of great digital-camera deals. Since it’s been a banner year for new digital camera introductions, particularly at the pro and enthusiast levels. For instance, Canon made big news this past summer by joining Sony in offering full-frame digital camera systems and compatible lenses. 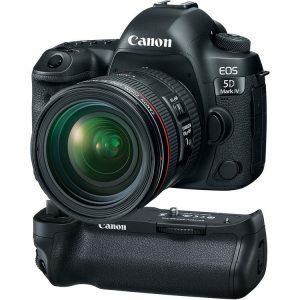 However, Canon was adamant in emphasizing that it will continue to develop and support its DSLR series of cameras, DSLR lenses and accessories. That’s great news because B&H is offering amazing deals on Canon DSLR systems during Black Friday and Cyber Monday. In fact, these sales allow you to buy just the right camera combination, whether that’s a body-only camera without a lens or a camera with a powerful kit lens. And many of the items on sale include free accessories, for added value. Now $500 off! Part of what makes this DSLR one of Canon’s most versatile full-frame cameras is that it can shoot 30.4-megapixel still photos and capture 4K HD-resolution video at 30 fps. But this EOS camera (in a body-only configuration) is packed with many other powerful features, including dual-pixel autofocus, the ability to fire off bursts of photos at 7 frames-per-second and a large 3.2-inch touchscreen LCD monitor. During B&H’s Black Friday sales, you also get a free shoulder bag, a free 64 GB SD memory card and an extra lithium-ion battery. Plus, it comes with 13-months of free Canon CarePAK PLUS protection, which covers accidental damage from drops, spills, power surges and more, and includes normal wear and tear beyond the standard warranty period. Now $650 off! This kit includes Canon’s EF 24-70mm IS USM lens, a smart choice for an all-purpose zoom lens that’s also image-stabilizing, which can help you get better quality images in challenging settings, such as in low-light environments. In this kit, the lens is paired with one of Canon’s most versatile full-frame cameras, the EOS 5D Mark IV, which can shoot 30.4-megapixel still photos and capture 4K HD-resolution video at 30 fps. 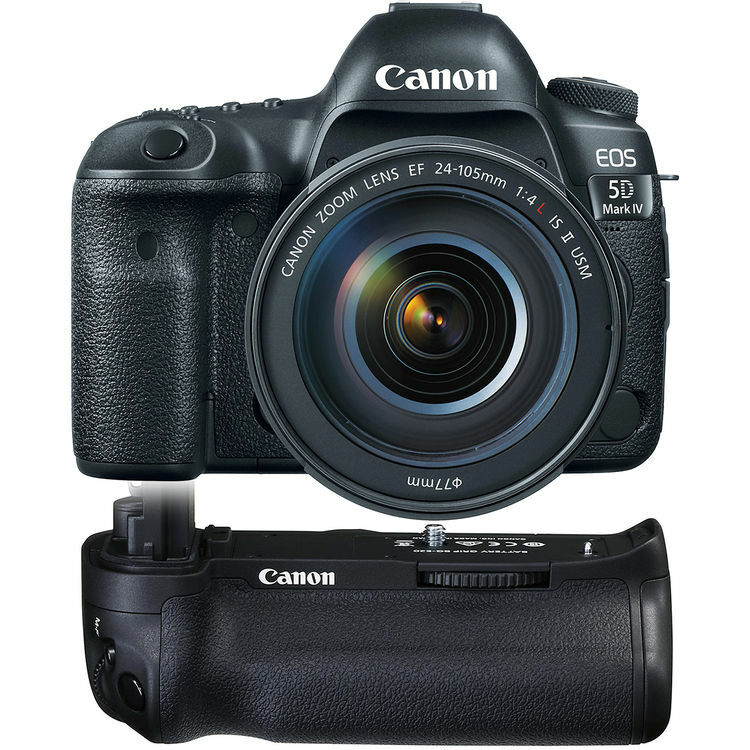 But this EOS camera is packed with many other powerful features, including dual-pixel autofocus, the ability to fire off bursts of photos at 7 frames per second and a large 3.2-inch touchscreen LCD monitor. During B&H’s Black Friday sales, you also get a free shoulder bag, a free 64 GB SD memory card and an extra lithium-ion battery. Plus, it comes with 13 months of free Canon CarePAK PLUS protection, which covers accidental damage from drops, spills, power surges and more, and includes normal wear and tear beyond the standard warranty period. Now $700 off! This kit includes Canon’s EF 24-105L mm IS II USM lens, a great choice for a powerful yet versatile zoom lens that’s also image-stabilizing for better quality images in challenging settings, such as low-light environments. 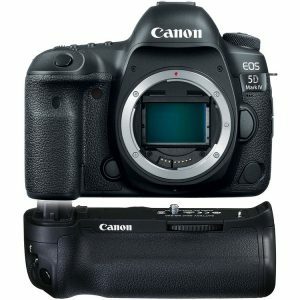 In this kit, the lens is paired with one of Canon’s most versatile full-frame cameras, the EOS 5D Mark IV, which can shoot 30.4-megapixel still photos and capture 4K HD-resolution video at 30 fps. But this EOS camera is packed with many other powerful features, including dual-pixel autofocus, the ability to fire off bursts of photos at 7 frames per second and a large 3.2-inch touchscreen LCD monitor. During B&H’s Black Friday sales, you also get a free shoulder bag, a free 64 GB SD memory card and an extra lithium-ion battery. Plus, it comes with 13-months of free Canon CarePAK PLUS protection, which covers accidental damage from drops, spills, power surges and more, and includes normal wear and tear beyond the standard warranty period. Looking for other great Black Friday Deals? Check out these articles featuring products currently on sale at B&H!